Everyone knows BlackBerry is in trouble and even with BB 10.2 making a big song and dance a year back it's struggling to hold onto the minimal market share it holds. 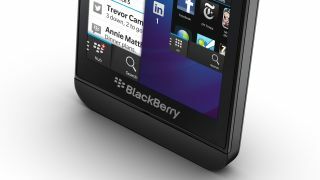 It now seems like the panic button has been pushed; rumours suggest we will soon see a BlackBerry device running the Android OS. Reuters has spoken to four separate sources claiming there will be an Android handset from the company, two of the sources believe it to be a slider device released in the Autumn. A spokesperson for BlackBerry told TechRadar, "We don't comment on rumors and speculation, but we remain committed to the BlackBerry 10 operating system, which provides security and productivity benefits that are unmatched." BlackBerry hasn't been against Android recently, the latest BlackBerry OS update has experimented with the ability to download Android apps from the Amazon App Store. It's expected the first Android device will have a touchscreen and a physical keyboard underneath to cater for all tastes. We did see a slider phone back at Mobile World Congress 2015 in March but there hasn't been any news since then. Back in 2014, Nokia took on the Android mantel with the Nokia X and Nokia XL but we haven't seen a follow up yet. That's due to Microsoft stepping in and dropping the idea, but it'll be interesting to see if BlackBerry goes further with the OS. What's certain from BlackBerry's comments is it's not giving up BB10, devices running Android are sure to sit next to it in a different product line to cater for both audiences.